After following this for a year, 7 On Your Side uncovered a new theory about why Fitbit activity trackers can cause rashes. 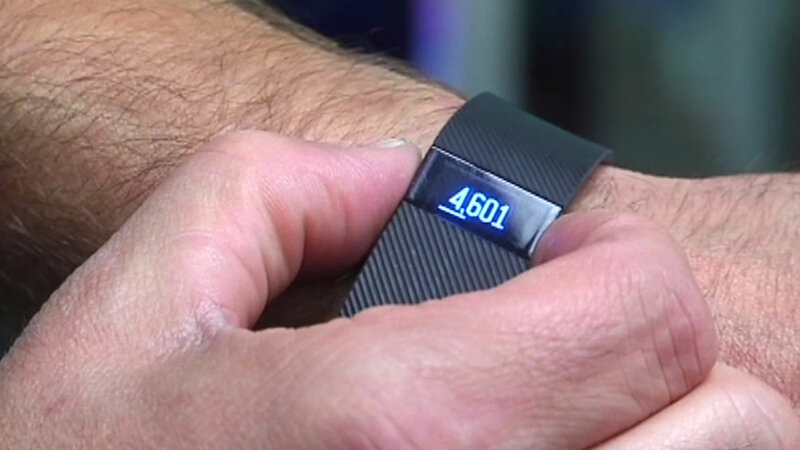 SAN FRANCISCO, CA -- ABC-13 sister station KGO-TV has uncovered a new theory about why Fitbit activity trackers caused thousands of users to break out in a rash. We've been pushing for answers for nearly a year. Under the Freedom of Information Act, 7 On Your Side finally received a report revealing what may be the real reason for those mysterious rashes. It suggests they were not allergies at all, but chemical burns, like what you would get from spilling Drano on your hand. 7 On Your Side interviewed Fitbit Force users who had blisters, lumps and burning irritations. "I noticed this big, red, angry, itchy spot on my wrist," Fitbit customer Diane Barlow said. "It looked just like a bright red burn," Fitbit customer Kim Reichelt said. Fitbit recalled the trackers and blamed rashes on allergic reactions to the nickel and glue in the wristband. However, scientists at the Consumer Product Safety Commission were testing a different theory. San Francisco-based Fitbit just released three new activity trackers, replacing one that caused terrible rashes. 7 On Your Side takes a look if the problem was solved. "I had no idea that anybody was still testing the Force," Reichelt said. Two months after the recall, the scientists wrote: "It is plausible a person's perspiration can enter into the charging port..." of the Fitbit force. They found that sweat in the charger caused a chemical reaction that produced a toxic compound, saying: "This scenario is supported by one consumer stating their injury occurred after charging... and a skin burn the shape of the charging port in another incident." The CPSC would not release further information about this theory or even allow 7 On Your Side to speak to the scientists, saying Fitbit has the right to limit release of government information it contests, or would reveal trade secrets. San Francisco based-Fitbit had problems with its hugely popular fitness tracker so 7 On Your Side investigates if the problem was solved. So we went to Nitash Balsara, a professor of chemical engineering at UC Berkeley. "It's a scientifically valid proposition," Balsara said. He says exposing sweat to an electric charge would produce toxic compounds like sodium hydroxide -- the same ingredient used in Drano to dissolve clogs, although Drano has concentrations ranging from 1-40 percent. "A high pH solution, like sodium hydroxide, could very severely burn your skin," Balsara said. At Lawrence Berkeley National Laboratory Balsara shows how electricity can cause a chemical reaction. He uses salt water in place of sweat, two pencils as a charging port, a nine volt battery replaces the five-volt Fitbit charger. As electricity touches saltwater, bubbles form on the pencil tips. That's the chemical reaction. "If you have a small amount of sweat, you can very large concentrations," Balsara said. A drop of the salt water on a pH stick turns a square red, which means it's highly corrosive. And he won't let us touch it. "It would burn your skin," Balsara said. Balsara says this could happen with any wearable device in which sweat can contact a charged battery. "Engineers should think differently about batteries that are worn, due to the potential interactions with things like sweat," Balsara said. "Wearable technology needs to solve this problem for sure." Many users who got the rash have suspected they were injured by something in the charger. "The idea this was an irritant that would burn the skin makes sense to me," Reichelt said. Fitbit said: "This document is not an agency report. It contains preliminary hypotheses, investigation, and testing conducted by CPSC. The CPSC has never disagreed with Fitbit's determination of the cause of the allergic reactions. Independent test results found no issues with the battery or electrical systems, and confirmed these were not the source of the allergic reactions." The CPSC never publicly revealed its theory that the battery could be to blame. The CPSC told 7 On Your Side about the test only after we demanded information under the Freedom Of Information Act.